The 29-year-old Vietnamese-Australian dynamo was attempting to become the only three-division world champion in the history of mixed martial arts and nearly pulled off the feat four months ago. 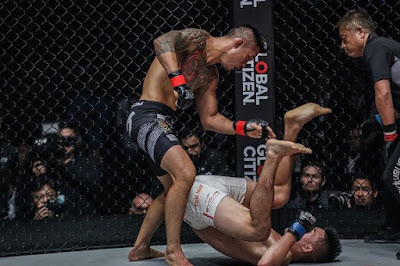 However, after 25 minutes of gruelling action, Nguyen fell on the wrong side of a razor-thin split decision to Fernandes. Following his successful defense of the featherweight strap against Singaporean rival Christian Lee in a rematch last May, Nguyen still strives to become the first man to ever hold three world championships in mixed martial arts. Nguyen had his wish granted as he is set to duke it out with Team Lakay’s Kevin Belingon for the ONE Interim Bantamweight World Championship in the main event of ONE: REIGN OF KINGS, which takes place at the 20,000-seater SM Mall of Asia Arena in Manila, Philippines on July 27. “Bibiano Fernandes should watch this fight with a close eye. He knows who the rightful challenger is. It’s either me or Kevin Belingon, and I will be doing everything in my power to finish this one,” he stated. It is yet another high-stake scenario for Nguyen, who will face a ton of pressure as he squares off with a man who has looked phenomenal putting five wins in a row together. In his most recent outing, Belingon thrilled the Filipino crowd with a stunning second-round spinning back kick stoppage of American stalwart Andrew Leone to solidify his position as the No. 1 contender in the bantamweight division. “This is a fan-friendly match-up between two aggressive, young beasts, and I can’t wait to lock horns with Kevin. There will be fireworks,” Nguyen said of Belingon. 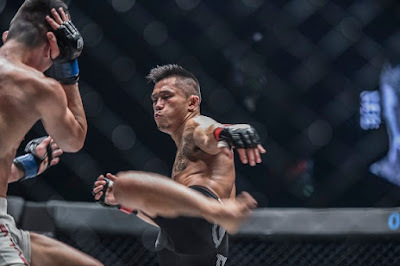 Furthermore, Nguyen will also travel to the Filipino’s home country to face him, which is nothing new to the dual champion as it is a very similar set of circumstances to his cage encounter with Belingon’s teammate Eduard Folayang in November of last year. Nguyen expected a tough match then, and against Belingon, he believes that it will be no different. “This match is going to be difficult. I always think that I am the underdog. I am happy to be the underdog, and I am happy to test myself against the best. However, it’s wrong to count me out Don’t ever do that,” he expressed. Nguyen stressed that his familiarity with Wushu stylists like Belingon will be an extra advantage in their five-round championship clash. Belingon will be the third member of the Philippines’ most famous gym(Lakay) that Nguyen has faced in ONE Championship. “I’ve got the utmost respect for Team Lakay. Mark Sangiao is out there doing a really good job at keeping the fighters humble and hungry. To be honest, I like to watch Team Lakay fight. They’re powerful strikers with devastating kicks, as well as takedown defense,” Nguyen explained. “In general, they all fight the same way. This is my third fight with a guy from Team Lakay, so the way I prepared for that first one is how I’ll be preparing for every other fight,” he added. 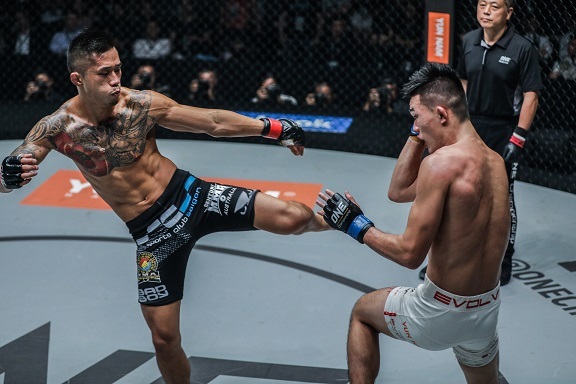 Despite the threat that Belingon poses, Nguyen is confident that he will make history by capturing the ONE Bantamweight World Championship on July 27 and become an unprecedented three-division world champion in the sport. “Don’t blink when you watch this fight because I am going to bring it. I also expect that he is going to bring it. I know that I am on the verge of making history. I am not letting go. I am holding onto this tightly. I will go home with three world titles,” he ended.